Time is going so fast, it is already September. I want to hold on the summer for just a little bit longer. So I made " a late summer" calendar for September. This calendar goes from Monday to Sunday. 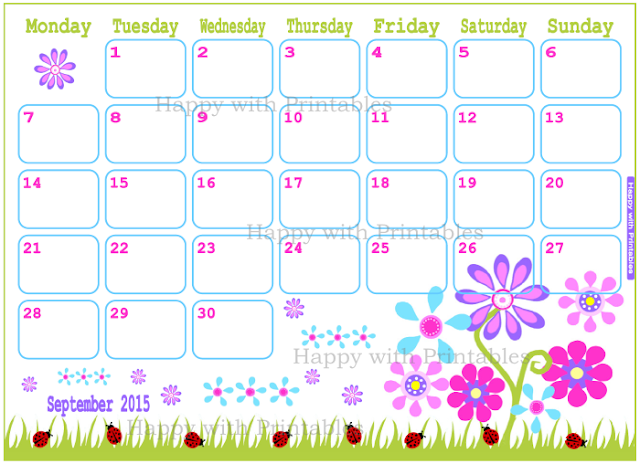 But I have also made a calendar with the sheet going from Sunday to Saturday.